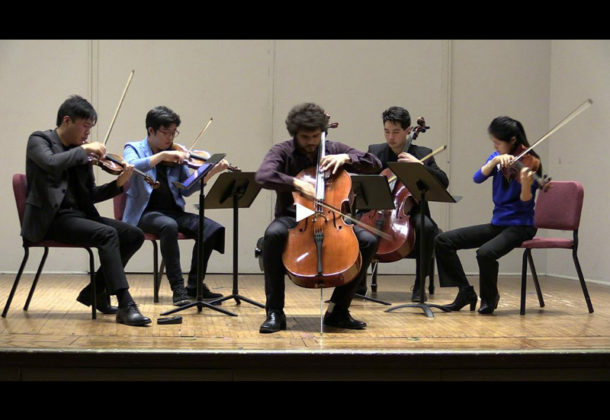 As the College of Southern Maryland Ward Virts Concert Series continues, the creative concert group Dvořák Reimagined will come to the Prince Frederick Campus at 3 pm Sunday, April 14, 2019. The event will be in the Building B Multipurpose Room, B-104, at 115 J.W. Williams Road in Prince Frederick. The Creative Concert Group includes chamber musicians who perform creative versions of well-known classical works. The doors will open for the event at 2:30 pm. Seating for the event will be limited, but the event is free. For more information, call 301-934-7828 or visit CSM online. The Ward Virts Concert Series celebrates the life and talent of the late Ward Virts, a talented pianist who lived in Southern Maryland and died suddenly in 1993. A group of his friends and classmates thought of the Ward Virts Piano Project to bring the love of life, beauty and music that Ward embodied to a new generation of students, performers, and appreciative audiences right here in Southern Maryland. The piano portions of concerts are performed on a world-class handcrafted Bosendorfer Grand Piano, a gift to the college’s Prince Frederick Campus from the Ward Virts Piano Project.